Happy 'Sebastian Bach Has A New Solo Album Day,' kids! That’s right! Kicking And Screaming is finally available to the masses (if you live outside North America you undoubtedly picked yours up a few days ago. If not- do it now!). Anyone who has ever had a conversation with me knows Skid Row/Sebastian Bach is in my top 10 of favorite bands/artists, ever. While the songs and many of the artists on the list rotate in and out on any given day, the fact that Sebastian Bach is firmly in the top 10 never wavers. The title track kicks off this hotly anticipated album and it’s got me neither kicking nor screaming, for joy or otherwise. Initially I reviewed the single and I was fond of it but not bowled over. That sentiment stands hearing it as the first song of the album. I was withholding further judgment until I heard how it played with other songs as the lead off track and it’s not any different than hearing it as a single. The first 10 seconds are the best, and it still makes me want to run around my room. “Kicking And Screaming” leads nicely to the second track “My Own Worst Enemy,” which is clearly a song about the failings and misgivings that anyone would have in the wake of a 20-year relationship coming to an end. It’s equally as heavy as “Kicking” and while the lyrics are pretty elementary, this is a huge departure for Sebastian. His writing won’t win him a Grammy but it is winning him my respect. 'Bas wrote all but one track on the album and this is as solid as I’ve ever heard his lyrics as a solo artist. It's very clear "Tunnelvision" -- featuring former Marilyn Manson guitarist John 5 -- is aimed at the (now) former Mrs. Sebastian Bach, with lyrics like “Feels like the first time/First time I met you again” and “Who are you to tell me where I’ve been.” He is bringing us into a pretty delicate area and tumultuous time in his life. I imagine this as being sung directly to the intended party; it’s full of pain, anger, and the very real feeling of being fed up with one foot out the door. While I liked “My Own Worst Enemy,” I love “Tunnelvision.” It’s a pretty perfect song and his wails are back at “I Remember You” caliber. I reiterate… I love this song. “I’ll Dance On Your Grave/For Throwin’ My Love Away” pretty much sums up the sound and sentiment of “Dance On Your Grave.” In one song we’ve gone from ruing having to leave his home and the life as he knows it to a healthy dose of anger. This album may very well have all Seven Stages Of Grief. The next two songs are nothing exciting or engaging and just as I’m starting to worry about the rest of the album, the Nick Sterling-penned “I’m Alive” starts and if I thought I loved “Tunnelvision” I want to have this song’s baby. It’s beautiful, soft, extremely moving and I am pleasantly surprised by Bach’s vocals. While they’re whiny and overdone on much of the album, they are dead-on here. “But who am I to complain about circumstance/Give me another chance” and “’cause I’m alive, this love’s a fake, wake up tomorrow, brand new day” are as intensely personal as anything we heard on his previous solo effort Angel Down, which exposed his raw, open heart, mostly over the passing of his father, artist David Bierk. Despite the lyrics not being from Bach, he sings them like he’s lived them, several times over. Another dead spot in the album in the form of “Dirty Power” and “Live The Life” is quickly forgotten when “Dream Forever” starts playing sweetly in my ears. It’s tender and pleasant, and brings back that warm, fuzzy feeling in only Sebastian Bach can deliver. 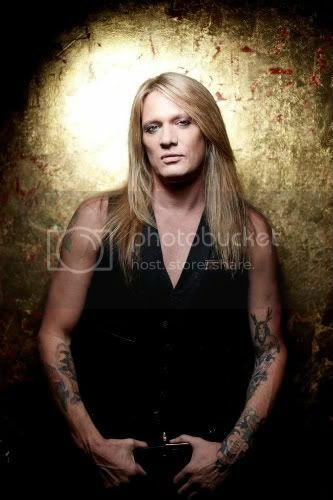 It’s a tad melancholy, “I don’t want to live forever, stay forever, feel forever more,” but that says to a longtime fan our Sebastian Bach is growing up and realizes mortality is a fact, even for a metal god. Our Kicking And Screaming journey ends on the best possible note. “Wishin’” is an ode to his former life, a promise to his new love, and a vow to be the best version of himself he can be. It is a beautiful ending to a solid, rockin’ album that shows to critics and fans that Sebastian Bach is one of the few people truly born to do this for the rest of his life and I have no doubt that’s exactly how it will be. Bach has assembled the perfect group for this album. He finally has the injection of youth in wunderkind guitarist Nick Sterling and the experienced, aggressive, best man for the job in veteran drummer Bobby Jarzombek. Kicking And Screaming is the best heavy metal album I have heard in ages and Bach’s best solo effort to date. It’s apparent he had a blast making this record and his passion for this genre of music that courses through his veins has been rekindled and I want to see more from this trio. There is room to grow, they are clearly on to something. My review of bonus songs “Jumpin’ Off The Wagon” (available only on physical CD copy), “Ain’t There Yet” (available for itunes download), and accompanying DVD are coming soon.